TedEx Addis 2015 was full of inspirational speakers, some of which, were wished to stay on stage and tell us more of their stories longer than just the18 minutes. One of those was Fikrte Addis, the young emerging designer from Addis Ababa who creates cultural everyday wear. In addition to that, she is psychologist by training working with children, who manages to integrate the two professions to reach out to disadvantaged kids in Ethiopia. Talking about how she managed to combine her education and her passion, she underlined, “Education is a means to reach to places, it is a method”. This inspired this week’s blog post! I run into a young girl who I respect for her mannerisms and professional sleekness. She sure is one of the juniors I have a great deal of vision for. I knew her as a student, and then during some consultancies and also social circles – she never seized to amaze me. After we greeted each other, the conversation went on to the details of our life, and the path we are following. I know she did her BA and MA at the Addis Ababa University, and traveled abroad to a very prestigious school for another Masters. Our exchange then led us to talk about jobs and professional happenings, and we agreed on one major thing – having all sorts of degrees doesn’t secure one a job. And expanded it to – even after the job, it doesn’t guarantee to be efficient, and excel in the given field, so what does? 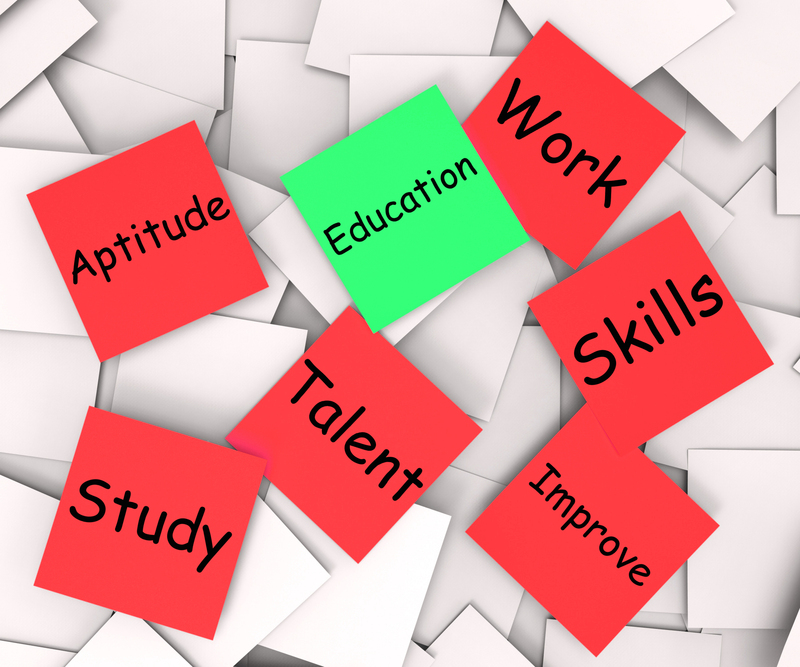 The HR and organization development expert Dawit Arega calls the situation of overrated education and underrated skills development worrisome. Looking at it from the HR point of view, he identifies the current condition as higher-educational bubble. People tend to focus more on academic credentials but not their career. Education gives people the power to develop creativity, critical thinking and innovation, which also open doors to certain job opportunities. However, the career path of an individual develops through skills development and experience. Even top schools and institutions can only provide the leverage to get the knowledge, but not the skill to become a great leader. The challenges emanate from various fronts – the employers, at the forefront dictate the game. The job ads mostly ask for the educational height, instead of the skills required for the job. Our society also give due emphasis for those who pursue education, not even questioning their capabilities to deliver and support the country’s vision to grow, prosper or innovate new ideas. If finance professional possesses for example an accounting degree, s/he needs to develop the next possible accounting skills available than going for another degree, which is also redundant. It is true that there are people with passion for formal education. In such cases, s/he can peruse the school matter without abandoning the job s/he doing, like extension classes, or online courses. According to his experience, Dawit spoke of the trend nowadays in the developed countries that, the job ads don’t even mention educational qualification, but list the skill set. He also mentioned that he met a number of people in HR who did philosophy or political science, or even somewhere in the natural science field. But, just having the passion for the field, they devoted the time to acquire the skills, they manage to navigate around and excel in it. Recalling the article we published few weeks ago on our blog on Summer internships, Dawit mentioned a recent research he read on the topic. He summarized it that, those who have had work/internship experience while studying are 90% more employable than those who haven’t. Those internships open the opportunity to be hired, based on the performance while an intern, if employment is not possible in that same organization, there are potential recommendations for another organization and third, the intern will learn more new skills. Therefore, the skills learnt during the internship/temporary or volunteer work would become in handy during the competition to get hired. This, ones again proofs the point raised earlier, that even during their school and university years, looking for opportunities to acquire and develop more skills support the future of the any employment path. From the experience we encounter everyday, not all graduates manage to secure jobs as soon as they graduate, therefore they tend to decide to continue further education than to stay idle. Can they see any other options? According to Dawit, for the mere fact that someone just graduated and did not get hired, therefore continue further education can’t be a remedy or guarantee that s/he will get a job after the next graduation. They would rather be better of looking for something, training or some other skills development engagement, so as to secure self employment, and even job creation for others. Having that stated in ones CV could actually be also a showcase that s/he is not someone with fixed mind, but rather look for way out in a challenging situation, if that person is to appear for an interview or job competition. The bigger fact is that, when people go to school or graduate, the only alternative isn’t employment, self-employment is by far the best option they need to consider, for which skills are of paramount importance. As for the experience of Fikirte for example, she started designing in high school enjoying the freedom of creating and experimenting with different designs and fabrics. This hobby and passion has now slowly developed and turned into opening her-own label, Yefikir Design in 2009. Focusing and trying to develop not only the academic, but also ones passion is a way to go. We can mentions a number of great national and global leaders who haven’t even finished high school, but managed to change a lot in their community – after all, getting a job is much more than earning money, it is rather changing the lives of self and others in a special way. As we all have the responsibility to do that, focusing on what is important and giving enough time to enriching ones life goals is imperative. Watch out! Your Potential Employer is watching your Facebook wall!